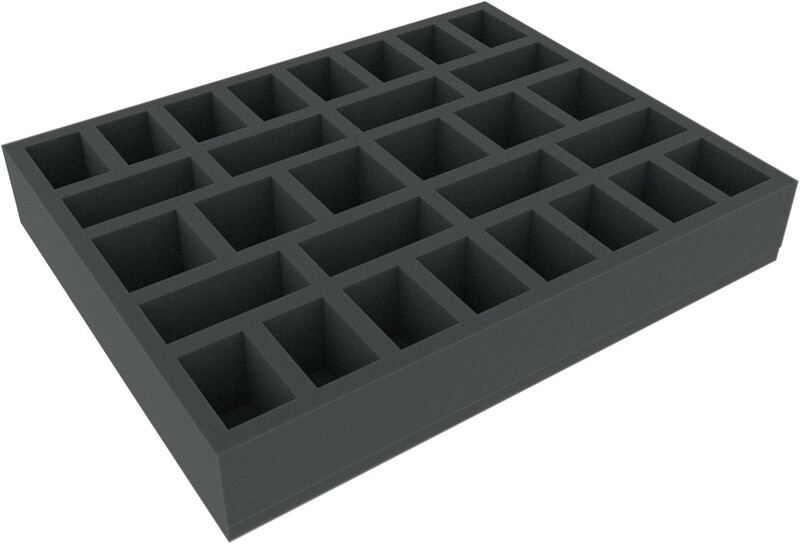 These foam tray is perfect for your small Daqan units. 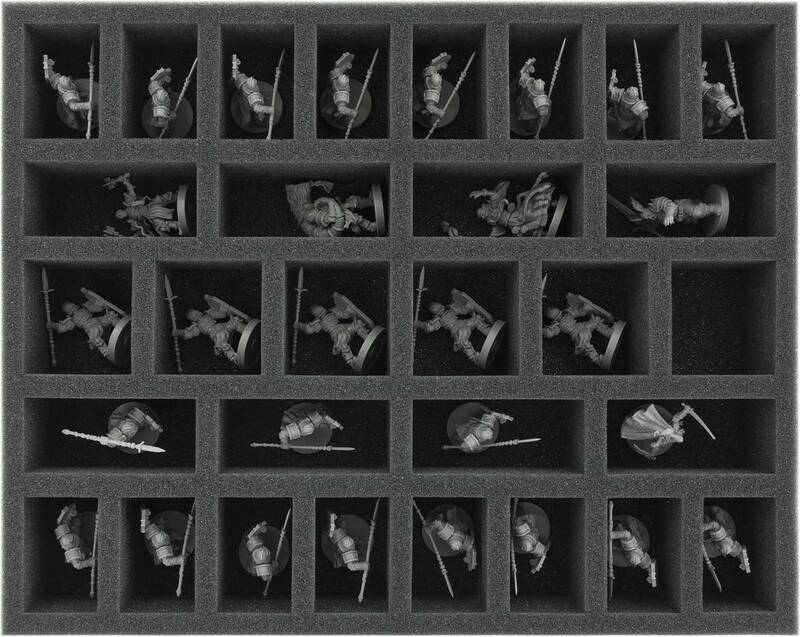 In the 30 cut-outs you can protect and transport 25 spearmen, Kari Wraisthstalker, the unmounted Lord Hawthorne as well as the champion, the banner guard, the cornicen and the wizard of the Daqan Infantry Command. 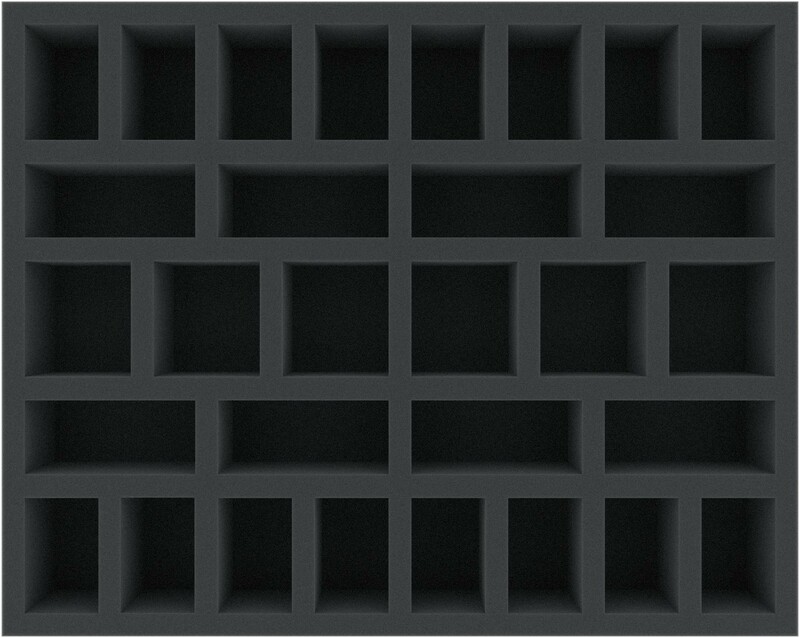 You can also remodel your division individually, because 14 compartments are bigger. The full-size tray is compatible with the Feldherr bags and cases: MEDIUM, MAXI, MESSENGER, HARD CASE and STORAGE BOXES.